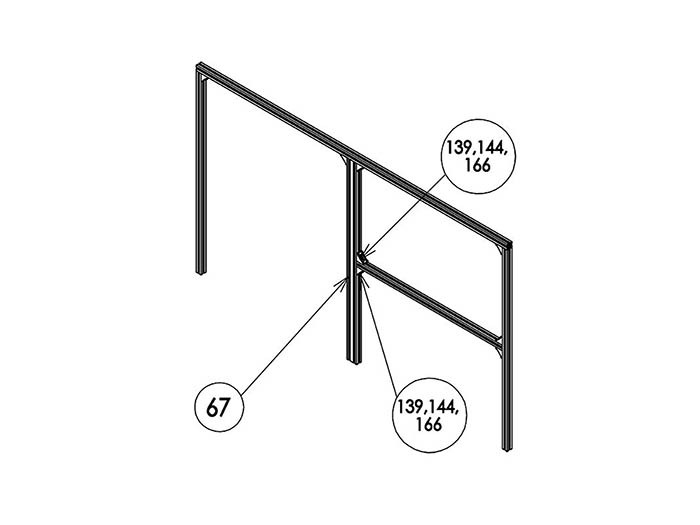 Attach 1300mm Aluminum Frame 20*20mm and 730mm Aluminum Frame 20*20mm with 2 of M5 Post-in Nut, 2 of M5*8 Hex Socket Head Cap Screw and Right-Angle Bracket. 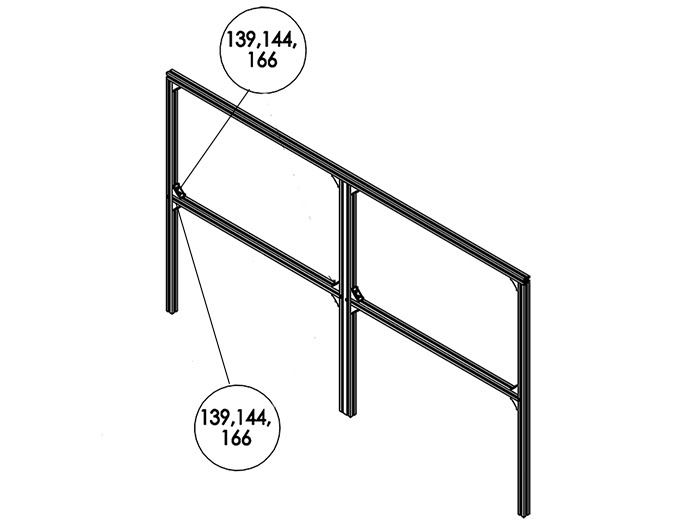 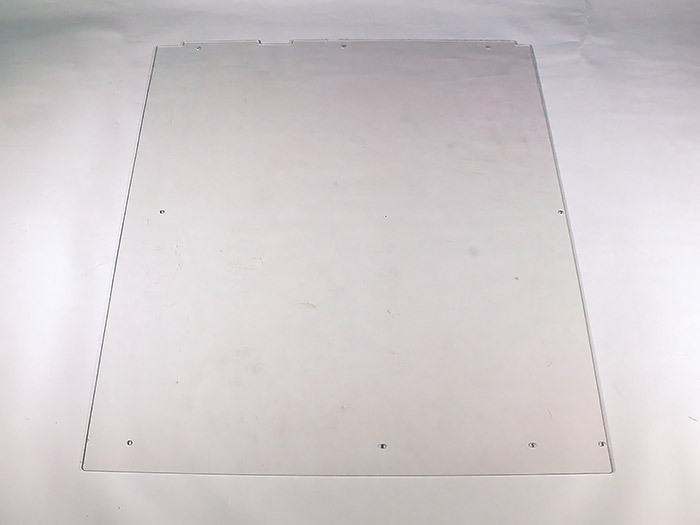 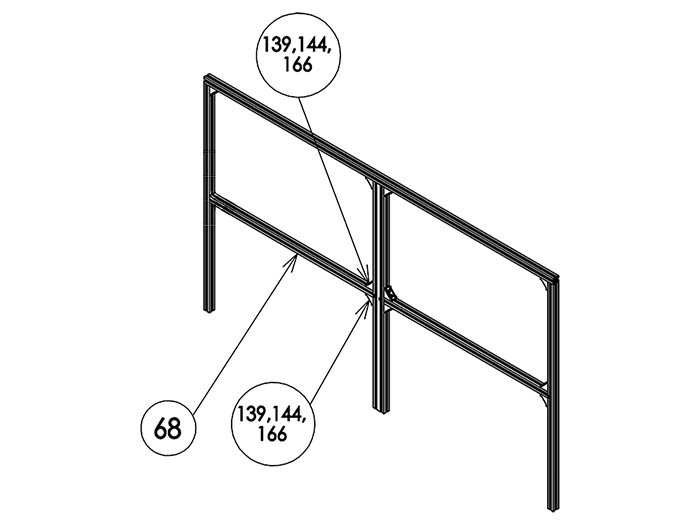 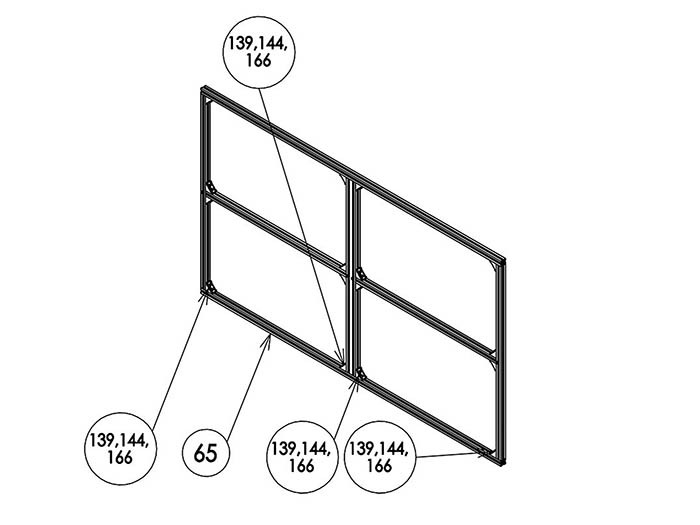 ※Make sure that 2 kinds of Aluminum Frames are assembled correctly as it shown in the picture. 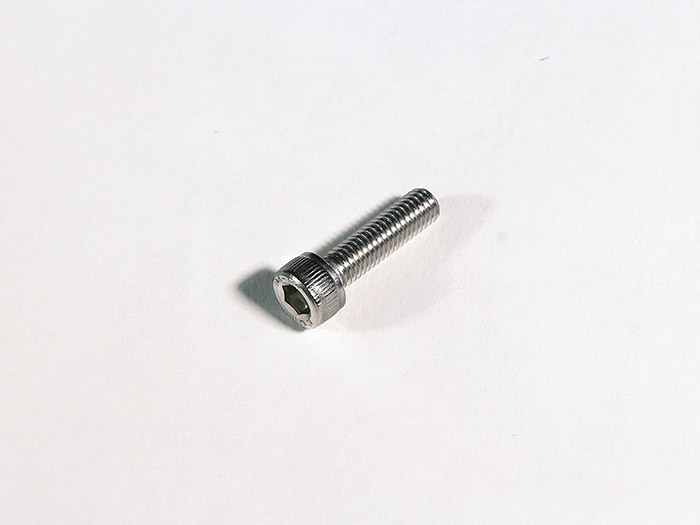 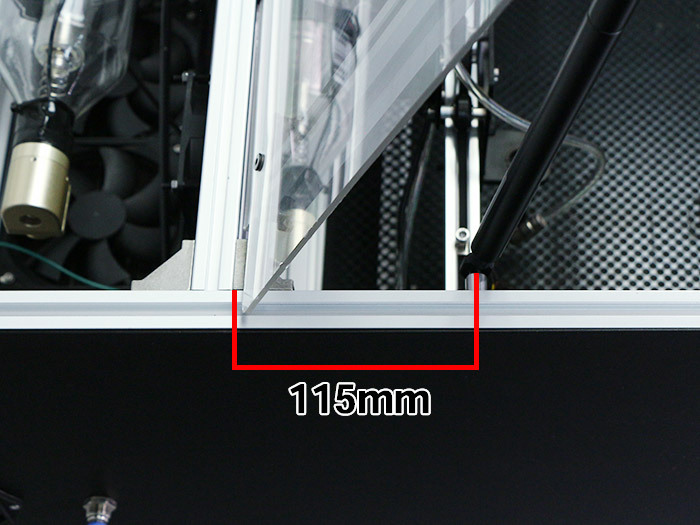 Attach 730mm Aluminum Frame 20*20mm on the other side of 1300mm Aluminum Frame 20*20mm with 2 of M5 Post-in Nut and 2 of M5*8 Hex Socket Head Cap Screw. 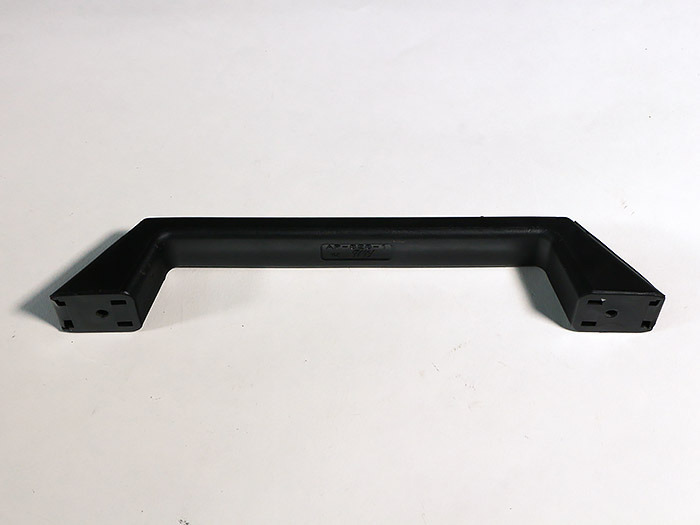 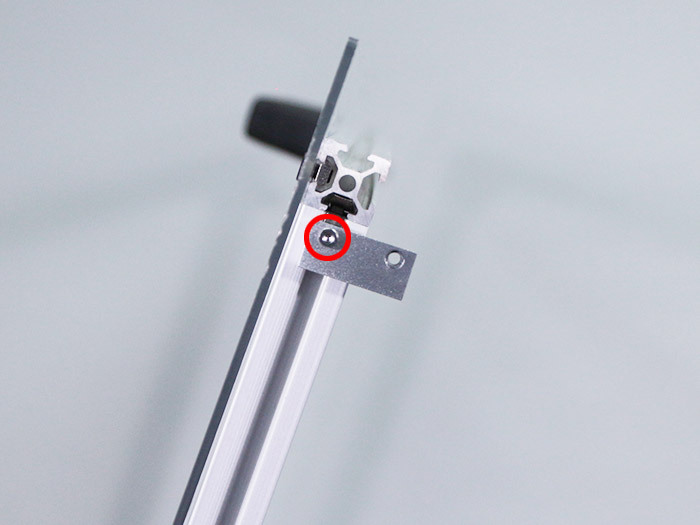 Attach 610mm Aluminum Frame 20*20mm on the center of 730mm Aluminum Frame 20*20mm with 4 of M5 Post-in Nut, 4 of M5*8 Hex Socket Head Cap Screw and 2 of Right-Angle Bracket. 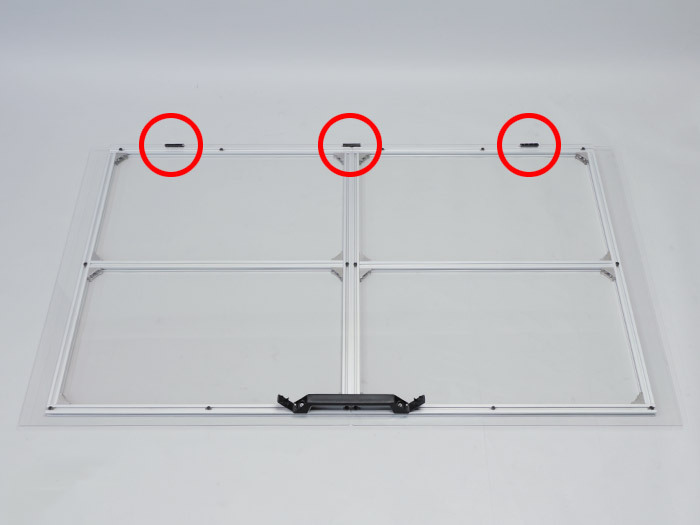 Attach 730mm Aluminum Frame 20*40mm on the center of 1300mm Aluminum Frame 20*20mm with 4 of M5 Post-in Nut, 4 of M5*8 Hex Socket Head Cap Screw and 2 of Right-Angle Bracket. 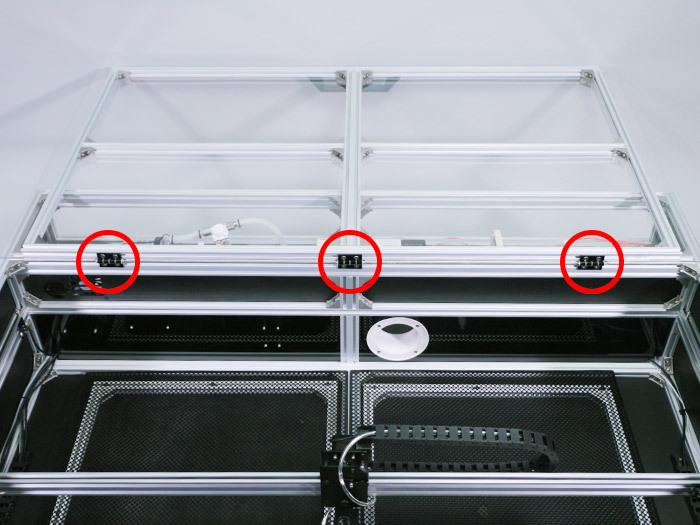 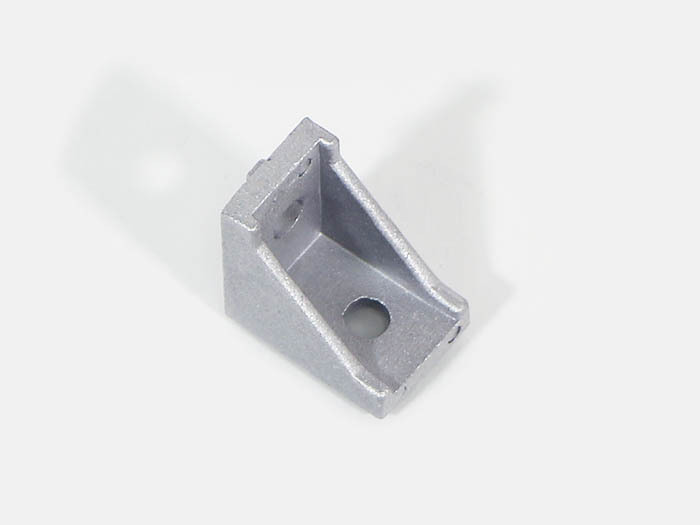 Attach 730mm Aluminum Frame 20*40mm and 610mm Aluminum Frame 20*20mm installed in the previous procedure with 4 of M5 Post-in Nut, 4 of M5*8 Hex Socket Head Cap Screw and 2 of Right-Angle Bracket. 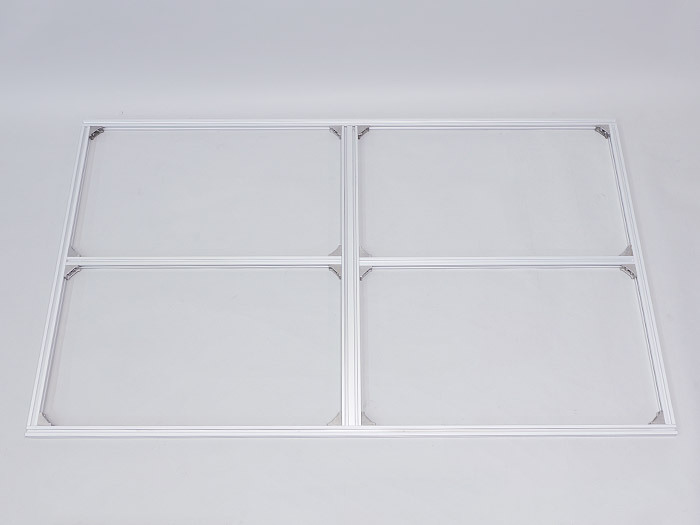 Attach 610mm Aluminum Frame 20*20mm on 730mm Aluminum Frame 20*40mm with 4 of M5 Post-in Nut, 4 of M5*8 Hex Socket Head Cap Screw and 2 of Right-Angle Bracket. 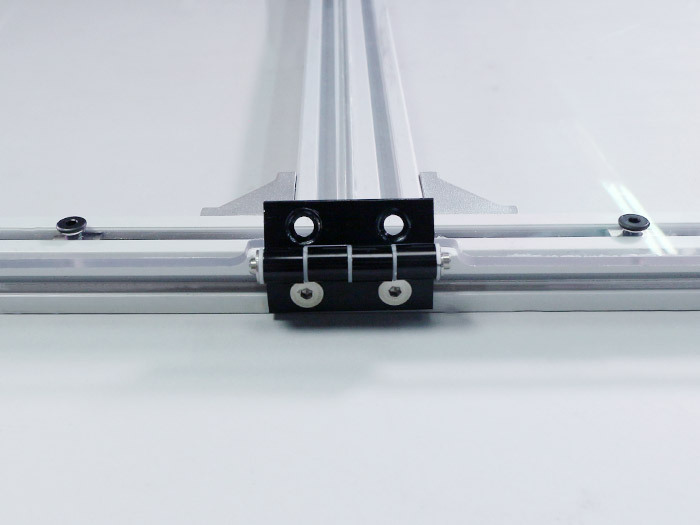 Attach 1300mm Aluminum Frame 20*20mm on the frame body with 8 of M5 Post-in Nut, 8 of M5*8 Hex Socket Head Cap Screw and 4 of Right-Angle Bracket. Attach 2 of Top Panel on the frame body with 16 of M5 Post-in Nut and 16 of M5×8 Low Head Screw. 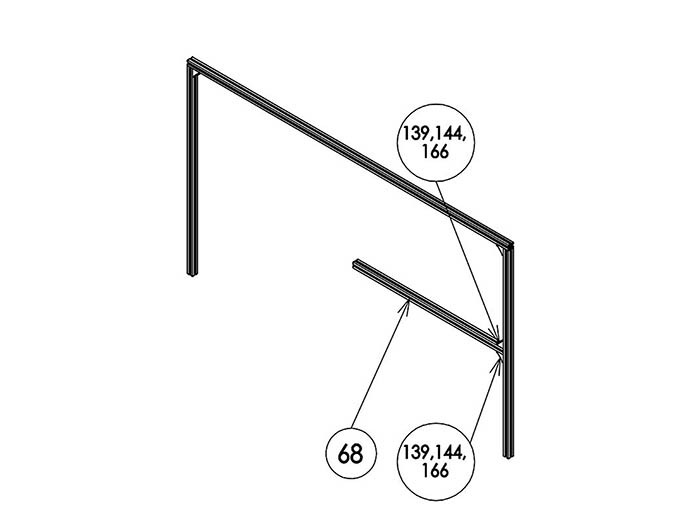 ※Make sure the installation position of the handle before the actual installation since you need to install it in the following procedure. 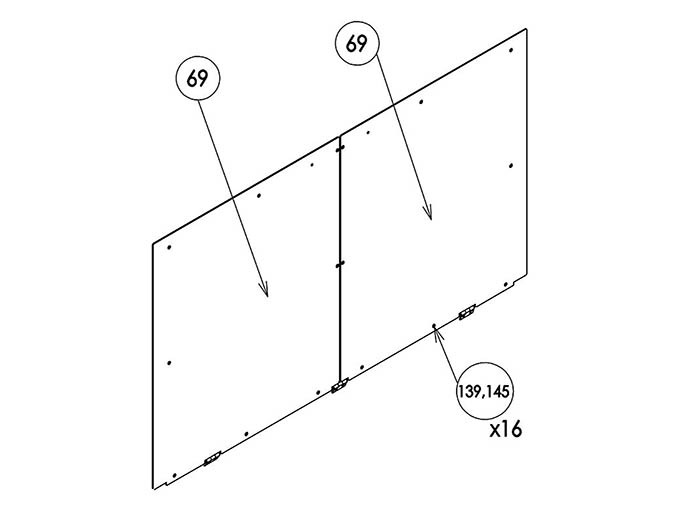 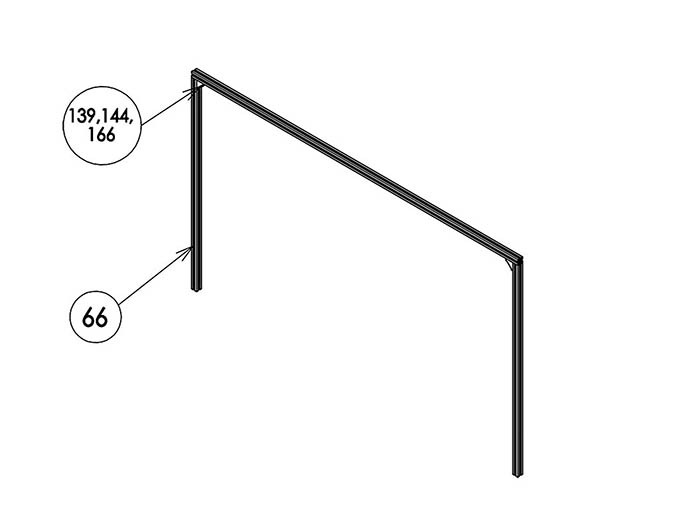 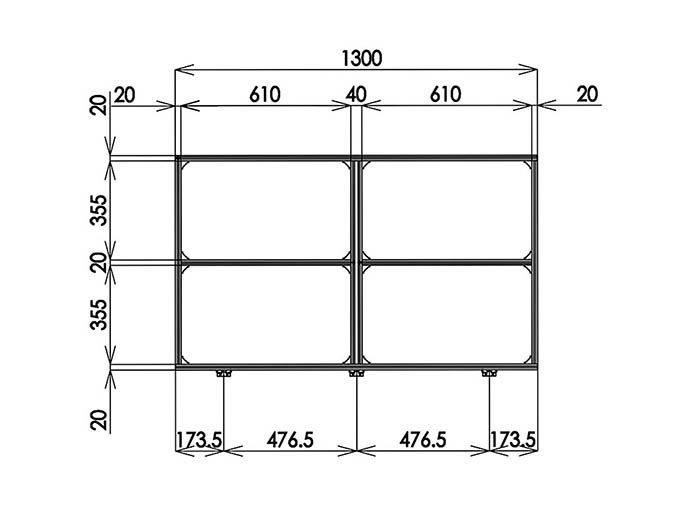 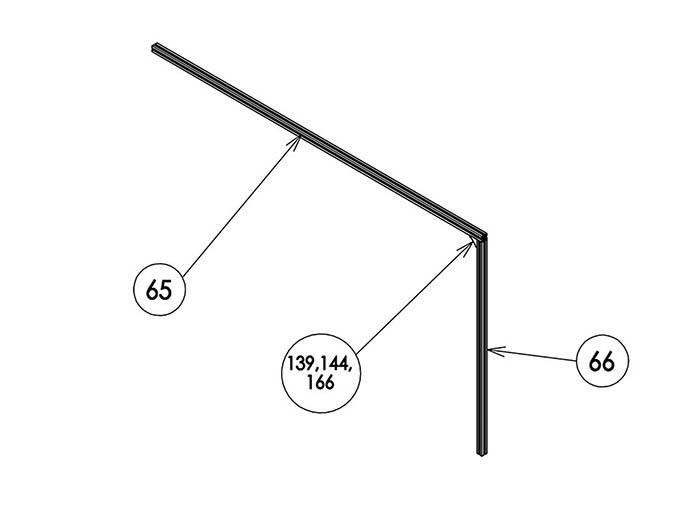 ※Make sure that Top Panel is facing the right direction as shown in the picture. 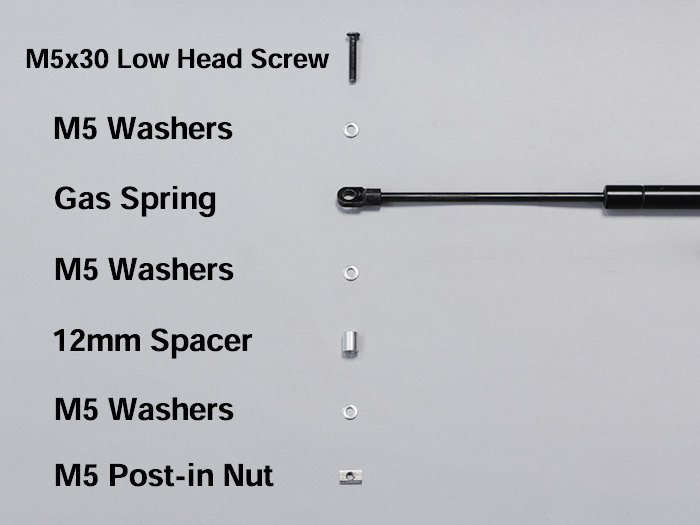 Attach the handle on the panel with 2 of M5 Post-in Nut and 2 of M5*8 Hex Socket Head Cap Screw. 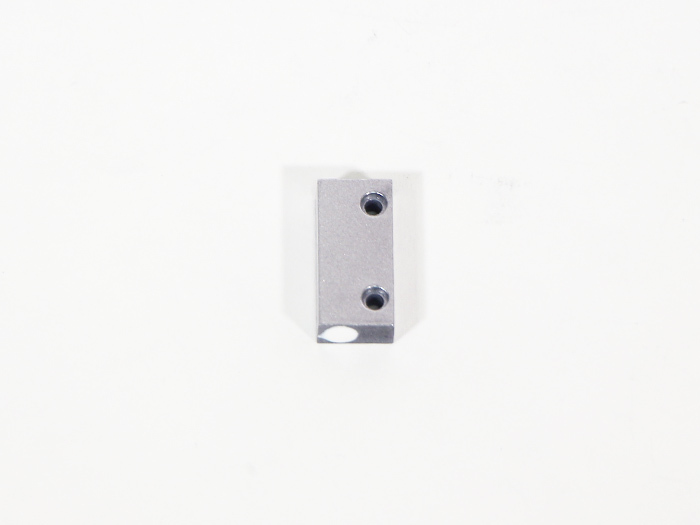 Attach 3 hinges on the notched part of assembled Top Cover with 6 of M5 Post-in Nut and 6 of M5×8 Hex Socket Countersunk Head Cap Screw. 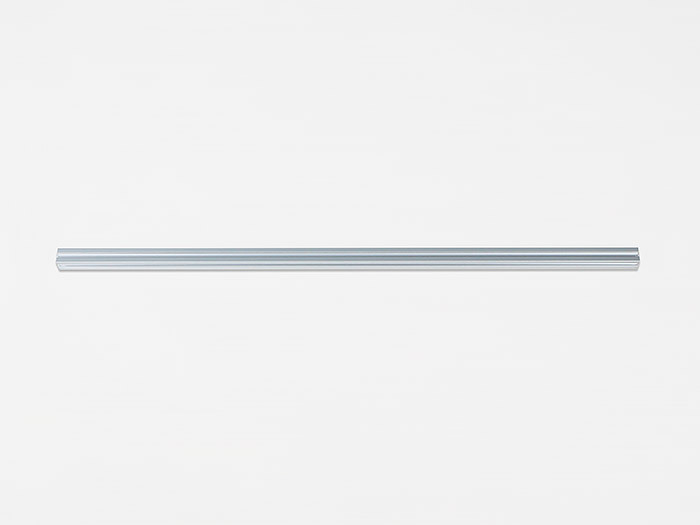 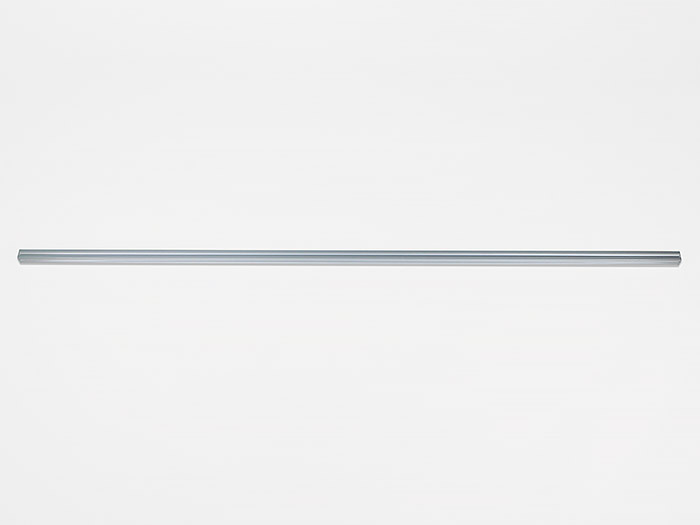 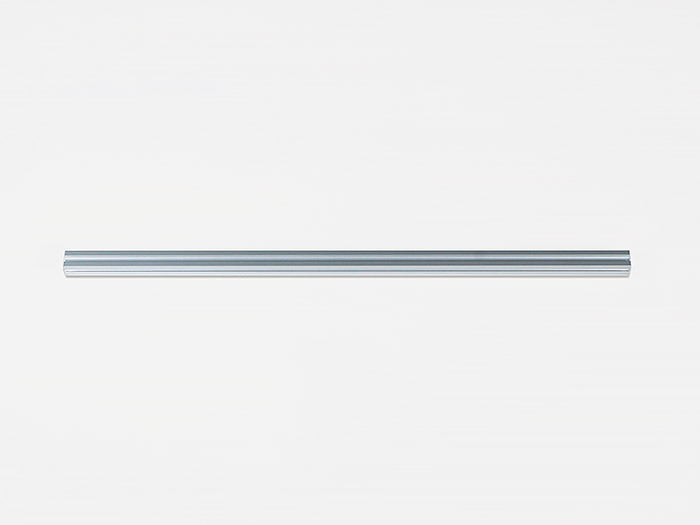 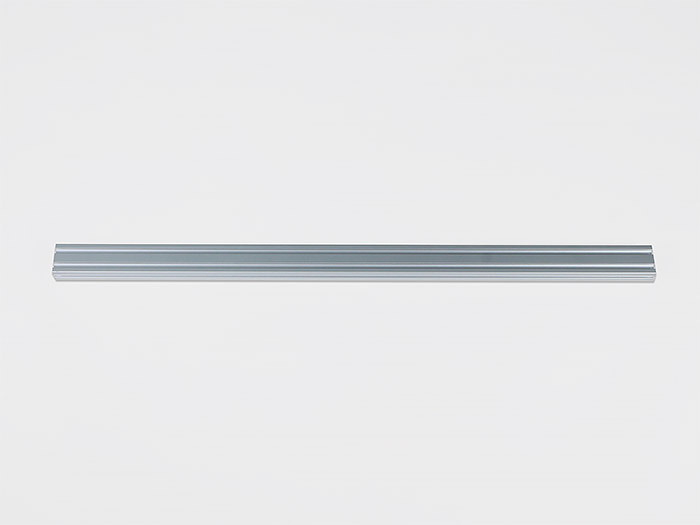 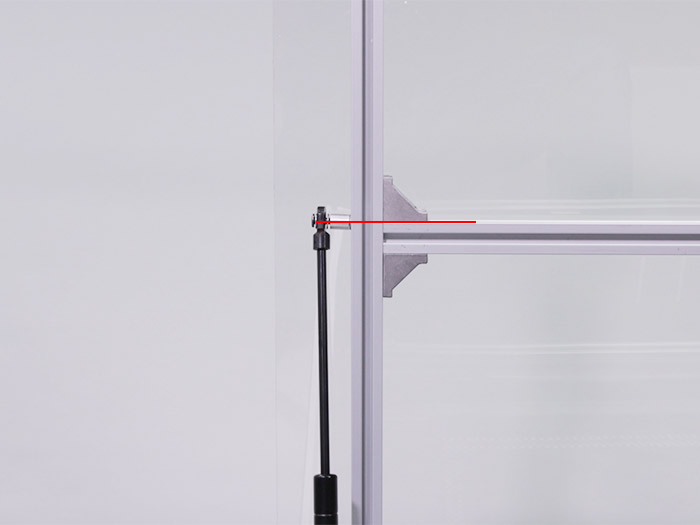 Attach 2 of Thin Bracket on the positon 400mm apart from the center of the frame body with 4 of M5×8 Post-in Nut and 4 of M5×8 Hex Socket Countersunk Head Cap Screw. 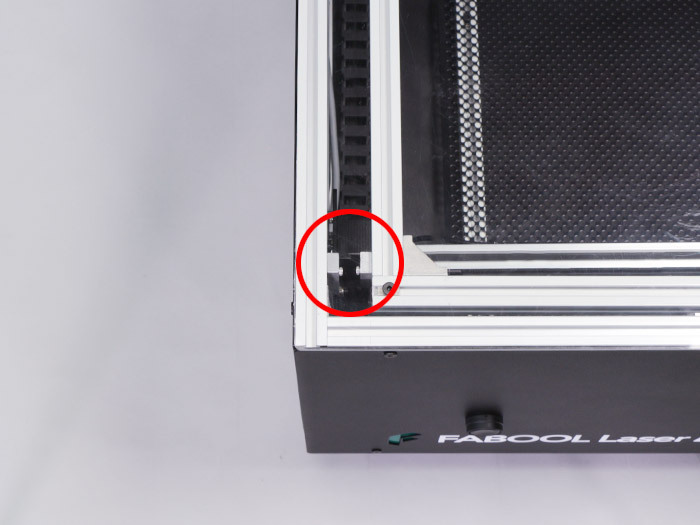 Attach the hinge installed on the top cover on the body frame with 6 of M5 Post-in Nut and 6 of M5*8 Hex Socket Head Cap Screw. 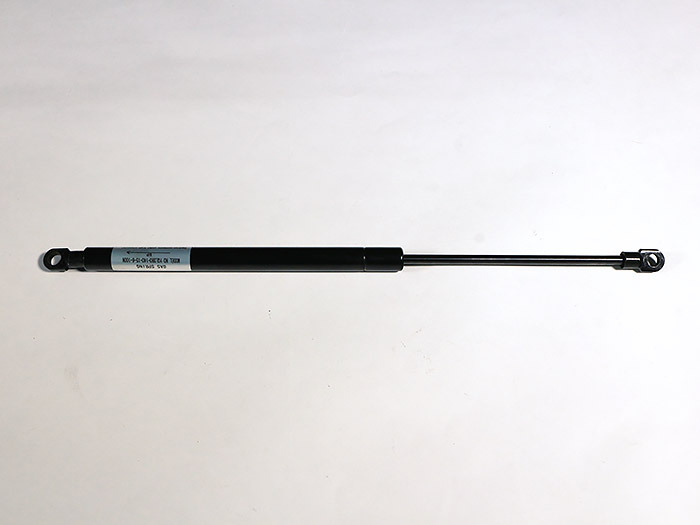 Referring to the picture, attach 2 of Gas Spring between the main body frame and the top cover with 4 of M5 Post-in Nut, 4 of Low Head Screw, 12 of M5 Washers and 12mm Spacer. 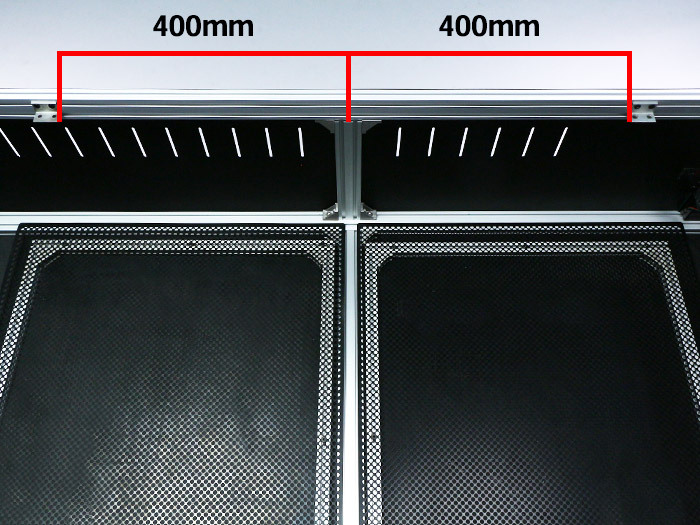 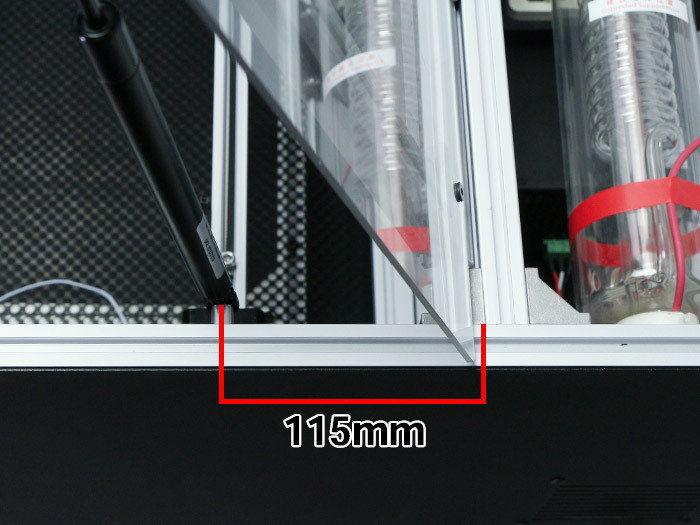 Attach on the top cover side and adjust to the red line of 610mm Aluminum Frame 20*20mm. 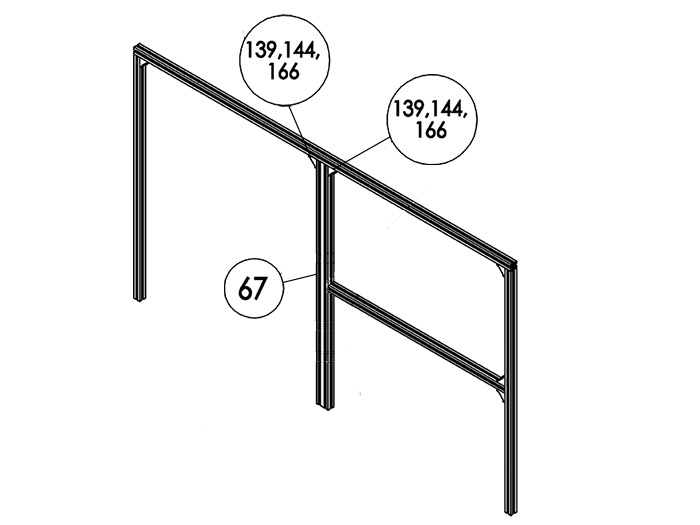 Repeat the same procedure on the right side. 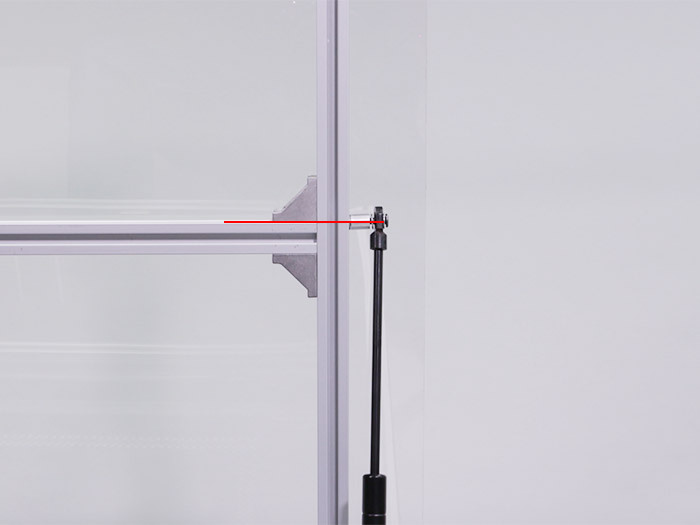 Attach on the main body frame side and adjust to locate 115mm apart from the frame with hinge installed. 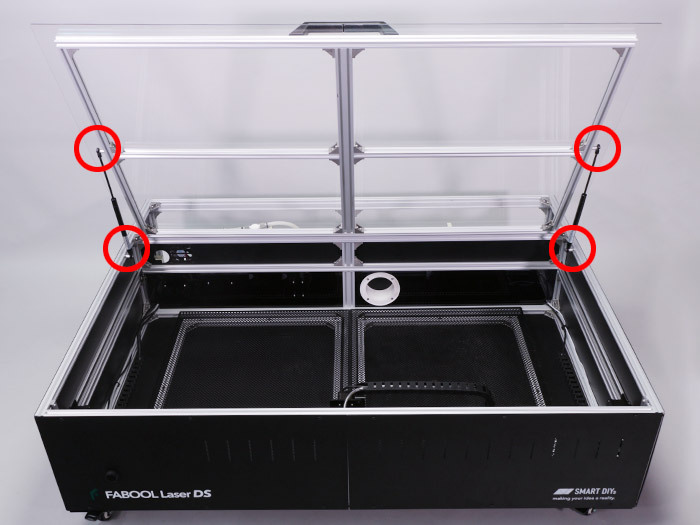 Make sure that the top cover opens and shuts smoothly. 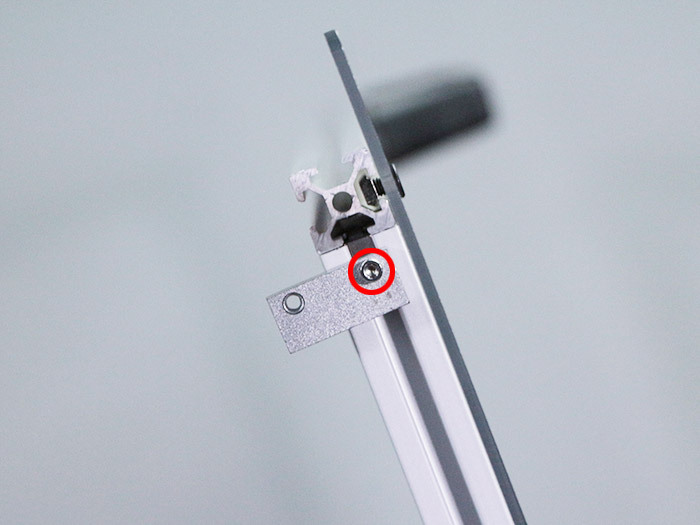 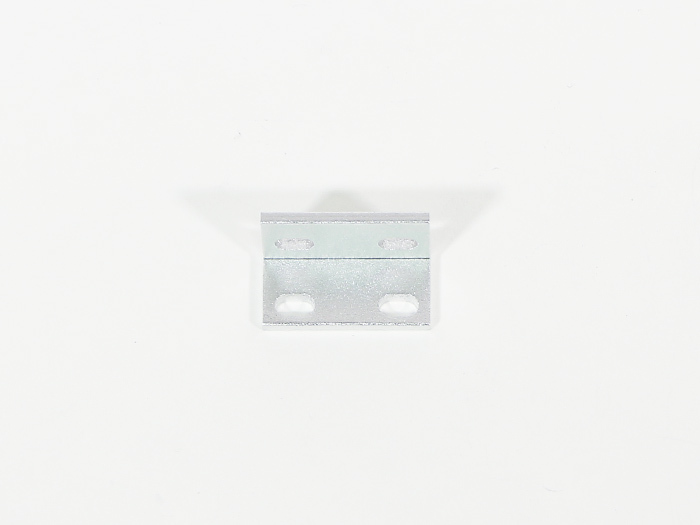 ※In case something is wrong in ahutting the cover, adjust the position of the parts on the top cover side. 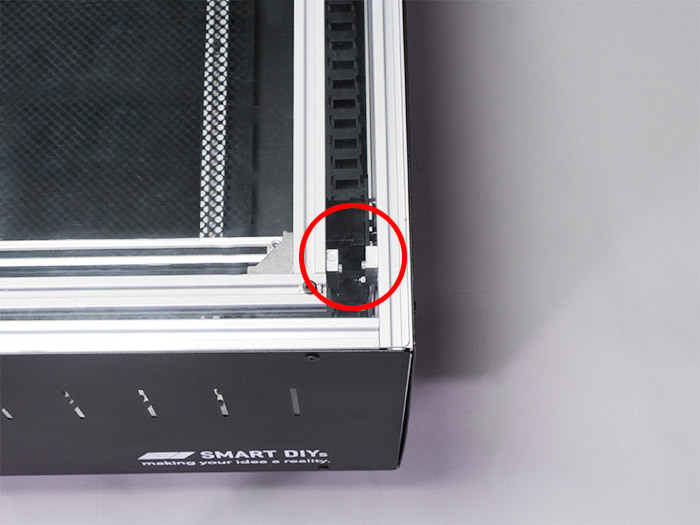 Attach the magnet on the left side of the top cover frame with M3 Post-in Nut and M3×12 Hex Socket Head Cap Screw. 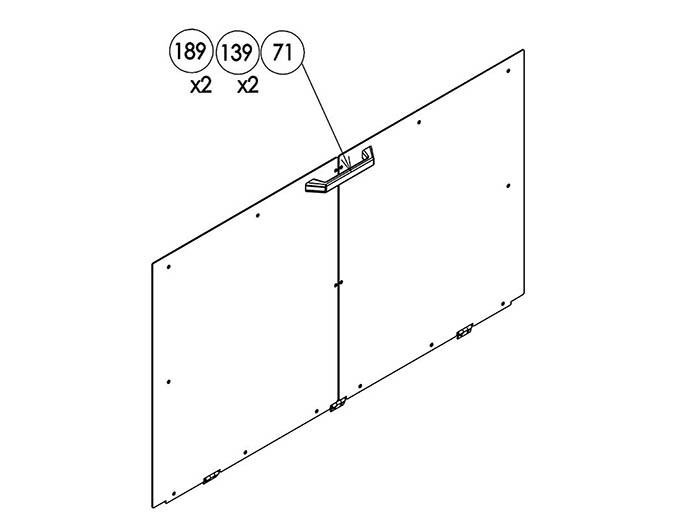 Temporarily tack it since it needs to be adjusted in the following procedure. 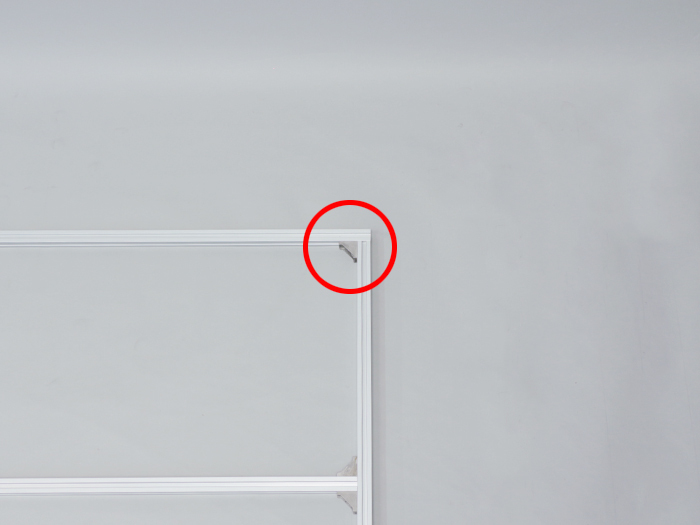 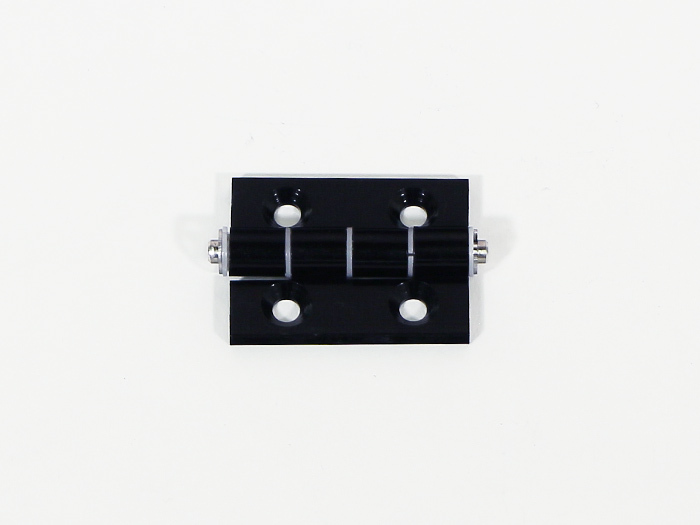 Close the top cover and adjust the magnet to locate in the position nearest from the magnet switch of Y2-limit Cable. 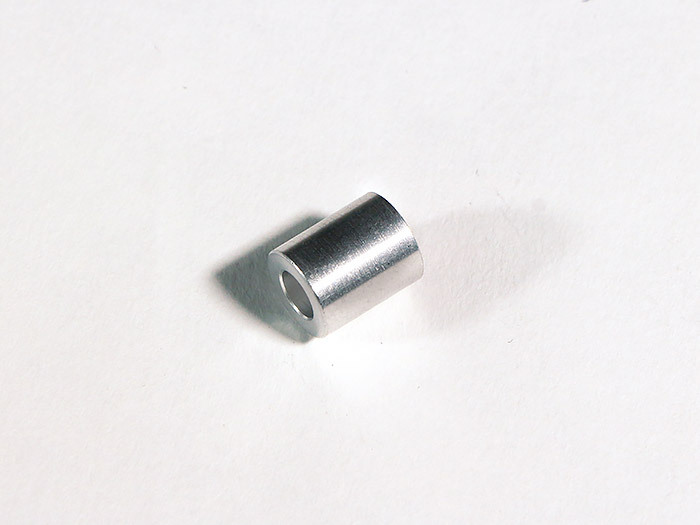 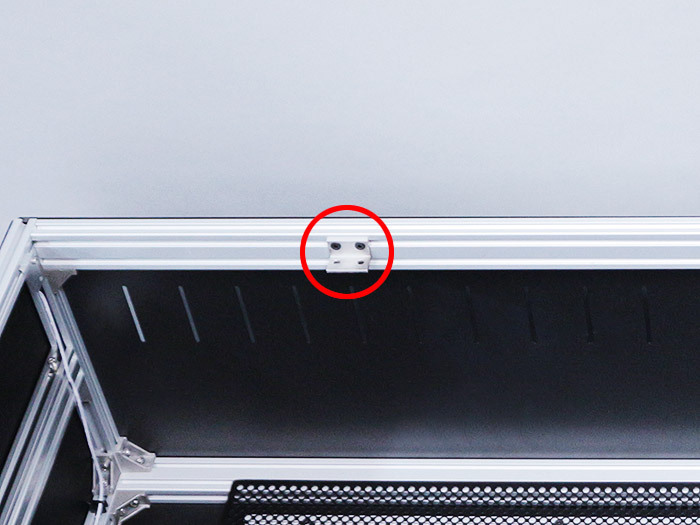 Close the top cover and adjust the magnet to locate in the position nearest from the magnet switch of Laser Cable.